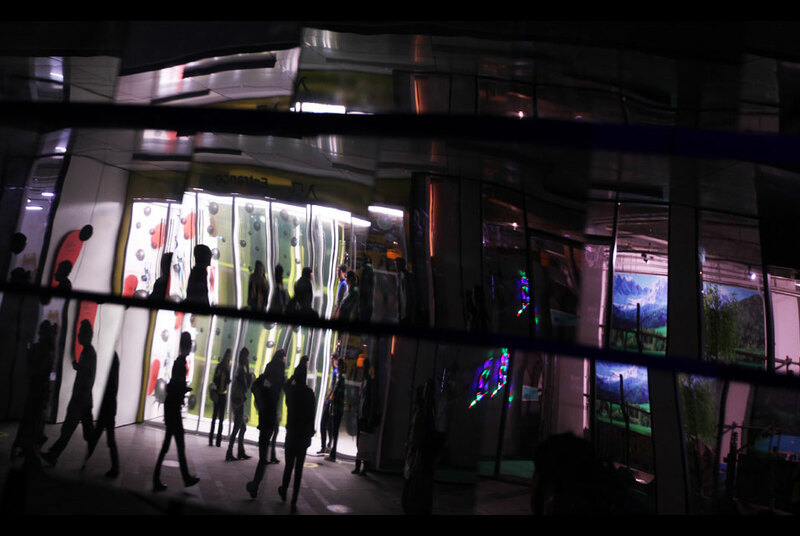 Visitors and art works reflected in the glass panels of the venue of art exhibition 'Get It Louder' in Beijing, China on 19 September 2010. 'Get It Louder' is one of China's most influential and closely watched exhibitions of emerging talents across creative disciplines and this year's theme of SHARISM examines the increasingly convoluted relationship between public and private realms. The exhibition runs from 19 to 10 October. EPA/HOW HWEE YOUNG. BEIJING.- Launched in 2005, Get It Louder is China's most influential and closely-watched exhibition of emerging, young talent across creative disciplines. Following the 2005 and 2007 editions, this year's multi-venue event will bring together more than 100 of the most promising Chinese and international participants from fields spanning art and design to music, film and, for the first time, literature. 2010 Get It Louder opens in Beijing on September 19 (through October 10), before traveling to Shanghai (October 22-November 7). Arcimboldo's Famous Paintings on View for the First Time in the U.S.
Mystery Bidder Buys Berlin's "Checkpoint Bravo"